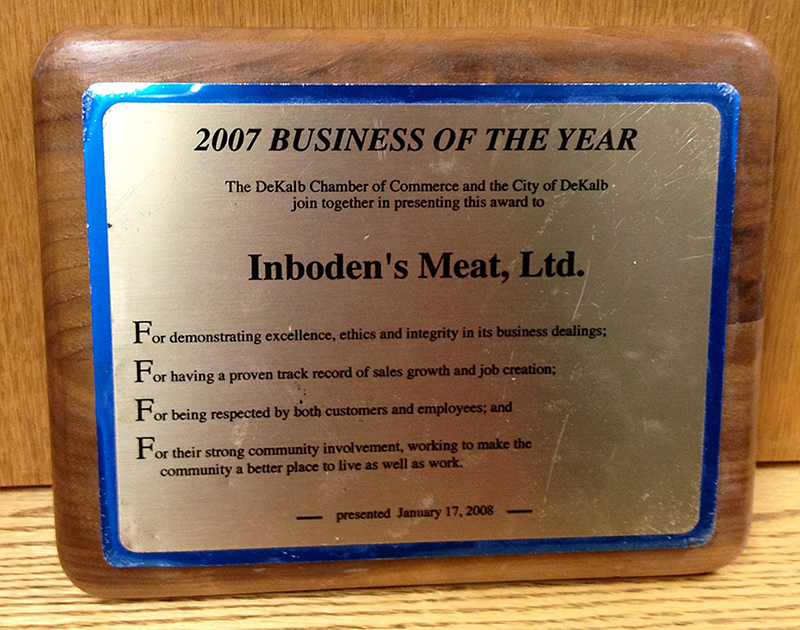 If it wasn’t apparent already, Inboden’s meats are some of the finest and best quality you will find throughout the entire country. But you don’t have to take our guarantee at face value. 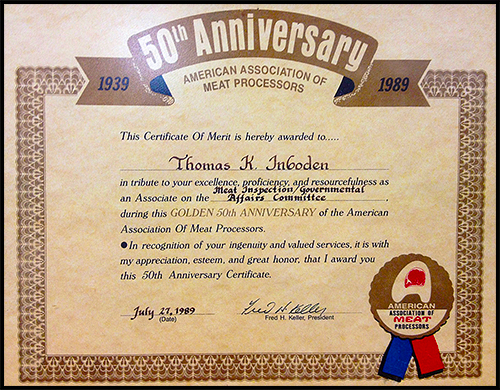 Since as far back as 1970, we’ve been winning awards for the sheer quality and excellence of our different meats. 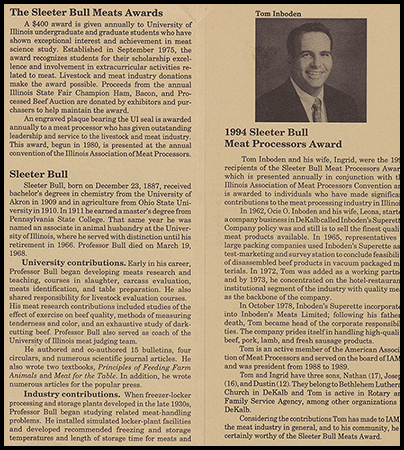 Most recently, we’ve won awards from both the IBA (Illinois Beef Association) and the Illinois Association of Meat Processors in a variety of fields. Here are just a handful of these recent achievements. 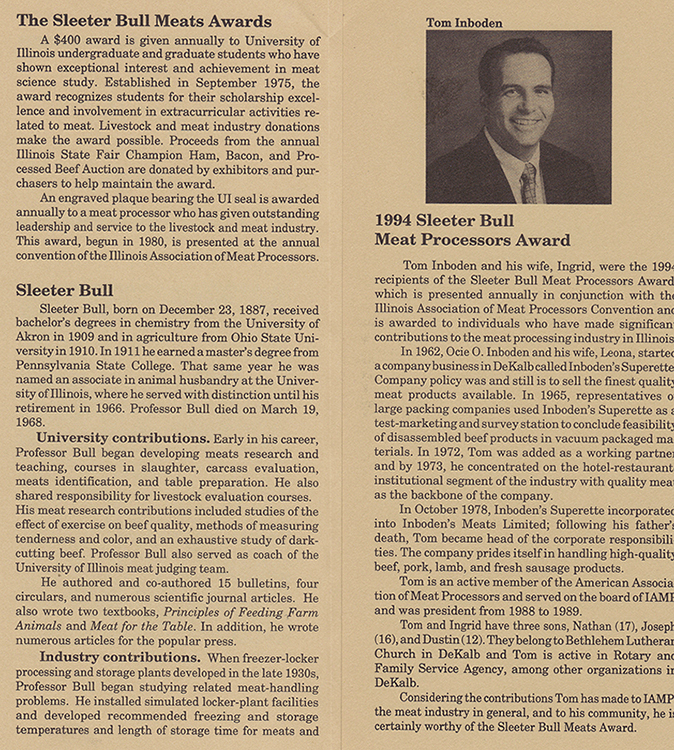 2006 Illinois Beef Association (IBA) Beef Innovation Award…And many more awards you can see in our store! These awards are given based on a point system, where everything in the meats are judged, from external appearance, color and uniformity, outside defects and overall workmanship, through internal appearance, particle definition, fat pockets, air pockets, uniformity. Other areas such as flavor attributes, aroma and cooking appearance, taste and juiciness, mouth feel and texture are also factors they consider. Under such close scrutiny, Inboden’s meats continue to impress judges and every DeKalb local who’s tried it will say the same. So just know that when you choose Inboden’s, you’re deciding to have a better tasting and higher quality meat with your meal every time and without paying the extravagant prices that other places charge. Stop by our store today and taste the best out there. Here are several more articles both online and in print that you can look at that can attest to the quality products that Inboden’s Meat Market has waiting for you. 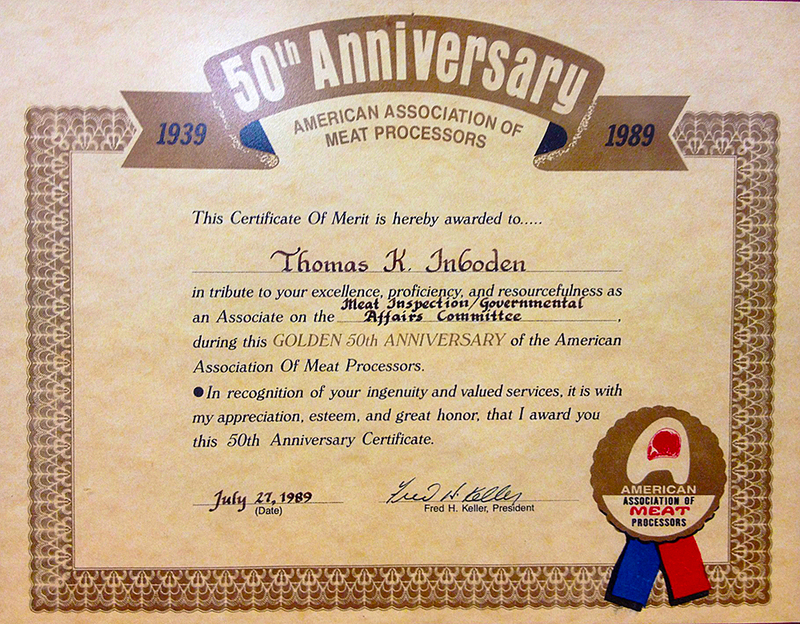 Featured article from meatpoultry.com about Inboden’s meat market. Click here to read it. 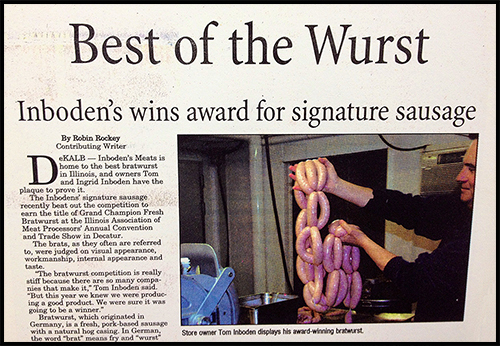 Inboden’s wins state competition for the best bratwurst. Click here to learn more.